H.P.P. 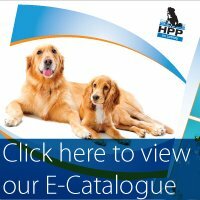 are manufacturers of a wide range of dog and cat equipment. In our Sheffield factory we produce high quality combs, rakes and grooming equipment, employing both automated techniques and traditional skills. Our warehouse and office premises are situated in Birmingham and it is here that orders are processed and dispatched. Our policy is to provide a comprehensive selection of the highest quality products at competitive prices. To this end we are continually researching and introducing new articles, and you will find many innovations illustrated for the first time in this new catalogue. Our products are distributed by wholesalers throughout the U.K. and overseas, and in recent years we have developed a particularly strong export base, selling into all major European countries as well as the United States, Canada, Australia and many other markets worldwide.